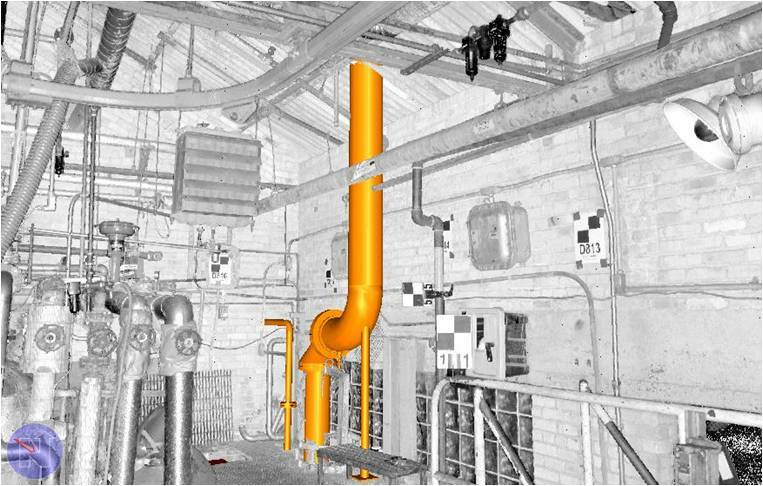 EI Associates was retained to confirm the process capacity of Relief Header and Rupture Tank systems at several plant buildings for a leading industrial client. EI’s FEL-2 report concluded that the outside header and outside Rupture Tank required replacement and found twelve vessels lacking in safety relief devices based upon current codes. 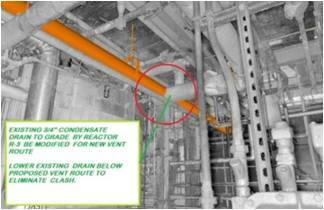 EI subsequently designed the installation of proper relief devices and associated piping to discharge vessels to a safe location and/or design vessel modifications as identified in our FEL-2 report. The relief discharge for eleven of these twelve vessels were designed to be safely vented to the atmosphere. However, the R-5 Receiver required a connection to the existing vent header which discharges through the proposed new outside Rupture Tank. Given the complexity of existing piping and infrastructure within the project area, traditional collection of field information via manual investigations would have been costly and not reliable. 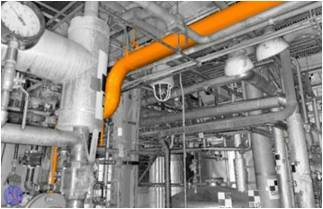 Consequently, EI utilized laser scan technology to document existing conditions. 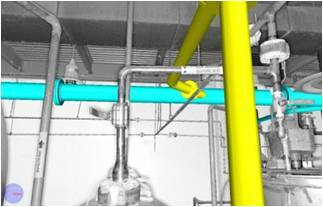 Design was then performed as an “overlay” utilizing EI’s 3-D process piping software.